Say hello to our two newest members of the Shepherd’s Corner Ecology Center family! Isadora (wearing the purple collar) and Willow (wearing the pink collar) are a welcome addition to our Shepherd’s Corner family. They joined our flock on July 5th and were quickly welcomed. 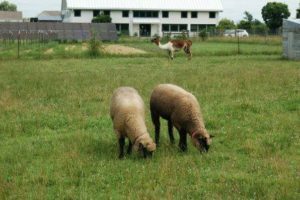 Isadora and Willow are a cross breed of Hampshire and Suffolk sheep. 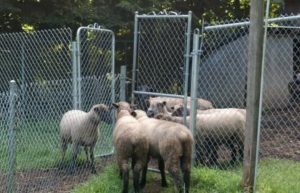 The new lambs were purchased for Shepherd’s Corner by Dominican Sisters of Peace Associate, Judy Hardy. 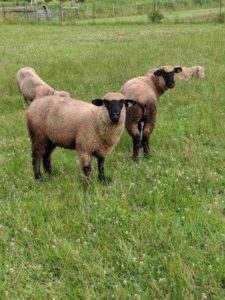 Be sure to follow Shepherd’s Corner Ecology Center and Alejandro Amigo Llama on Facebook for more photos of our new lambs as well as information on up coming programs.